Hugo Canada, the son of Chris and Marianne Canada and the brother of 5 year old, Lulu, was diagnosed with an extremely rare and aggressive cancer on June 9, just days after his first birthday. He is currently being treated at both East Tennessee Children’s Hospital and Cincinnati Children’s Hospital, primarily receiving large doses of chemotherapy. The Canada family is just a few steps into what will be a very long and hard journey. They stand to incur quite a few costs associated with medical bills and other travel expenses over the coming months. By purchasing a GO HUGO bumper magnet, you can help offset those costs and show your support as your drive around your city, state and our great country. 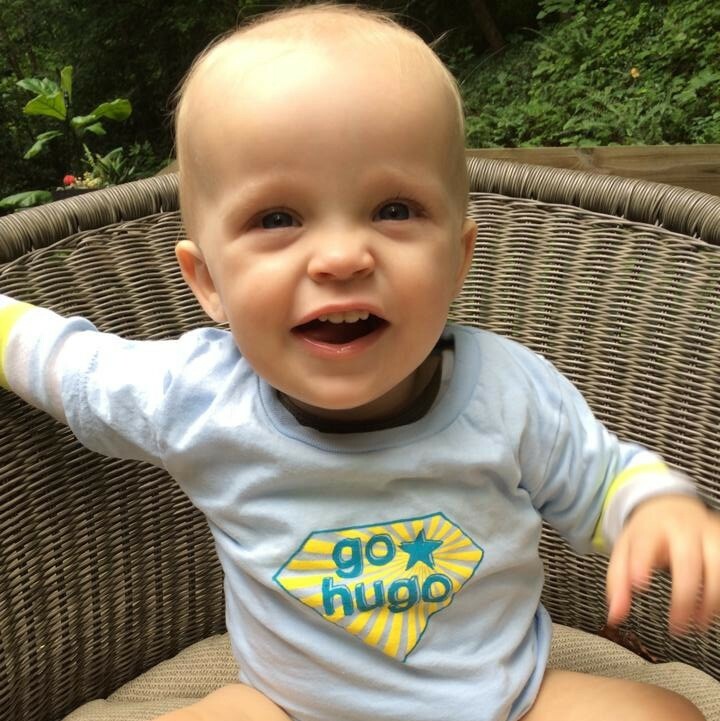 Most of all, let's keep little Hugo and the whole Canada family in your thoughts and prayers! This high quality, digitally printed magnet easily attaches to the bumper of your car magnetically. Remove and reuse, as often as you’d like! Better yet, buy two or three magnets for all of the cars in your family’s fleet! Volunteers will ship magnets within 1-2 business days of purchase.